Water plays a significant role in Jerusalem history, as it does in the history of the Ancient Near East. A steady supply of water equates with longevity, and Jerusalem fit the mold. Jericho is also one of the oldest cities in the world due to its natural water springs, and is a neighbor of Jerusalem's. The Psalmist connected Jerusalem's geography with divine protection in Psalm 125:2. In Isaiah 66 all the nations are pictured as bringing sacrifices to "My holy mountain Jerusalem", as declared by the Lord through the prophet Isaiah. It becomes quite evident the history of Jerusalem covers the entire time period of the Old Testament. Beginning in Genesis 14 with Melchizedek the king of Salem, the Bible even peers into the future of Jerusalem with much talk about New Jerusalem, where God dwells among us in His Holy Temple on His Holy Mountain. The parable of the Good Samaritan took place on the road between Jerusalem and Jericho. Through Jerusalem history this was one of the most notorious and dangerous roads. Jericho lay to the east of Jerusalem, one of the lowest points on earth. The Dead Sea, at 1,292 feet below the Mediterranean, is the lowest point on earth and ten miles south of Jericho. The two cities are separated by a mere 13 miles in distance, yet over 3,500 feet in elevation. The road plummets down the eastern ridges leading into Jericho below at an incredible rate. It was a dangerous route, one not traveled heavily through the history of Jerusalem until the Romans built it up. It was, thus, a favorite of bandits and thieves throughout antiquity. Click on a link to view a particular section or graphic of this page. The Central Ridge Route was the main artery of traffic in the region, passing directly through ancient Jerusalem. Jerusalem history, thus, was tied to the other cities along this route. The main cities from south to north were Beersheba, Hebron, Bethlehem, Jerusalem, Bethel, Mizpah, Shiloh and Shechem. The early history of Jerusalem included struggles with ancient Shechem for control of the central hill country. The two cities would be rivals throughout much of history. Jerusalem would eventually come to occupy four hills located on two ridges, the eastern ridge and the western ridge. These two ridges were each flanked by a valley, and separated by another valley as well. The Western Ridge was flanked by the Hinnom Valley, which ran along its western and southern slopes. The Hinnom, or Gehenna, Valley was associated with hell and sheol throughout the Old Testament. The eastern ridge was flanked on the east by the Kidron Valley, which joined the Hinnom in the south and ran nearly parallel to the Tyropoeon on the other side of the eastern ridge. 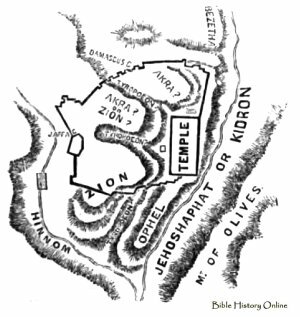 The Kidron separated Jerusalem from the Mount of Olives in the east. It was over this valley Christ would often gaze on Jerusalem and the Temple Mount from the slopes of the Mount of Olives in the New Testament. Between the two ridges another valley ran, the Tyropoeon Valley, mentioned above. This valley clearly defined the Eastern and Western Ridges from each other. It, too, ran into the Hinnom valley in the south, and provided the western border for the eastern ridge, running parallel to the Kidron, as mentioned above. Jerusalem history began on the southern end of the eastern ridge, where the Gihon Spring is located. This southern area was to become the City of David after David captured it from the Jebusites ca. 1004 B.c. It was also known as the hill of Ophel. 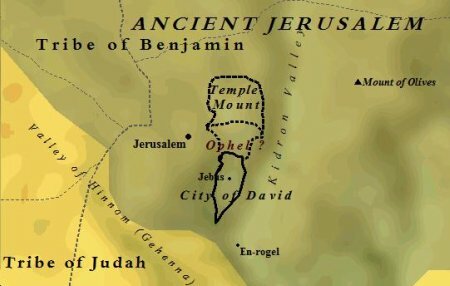 Ophel was a wedge-shaped stronghold, made such by the Tyropoeon Valley on the west and the Kidron on the east joined by the Hinnom in the south. It jutted out as an island of sorts. The ancient city towered over the three valleys. 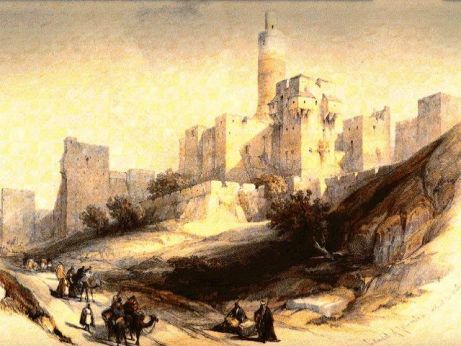 It is likely the Kidron was 150 - 200 feet below the city, though the valley has been filled with debris over the course of the history of Jerusalem. Jebus was cut off on three sides and surrounded by a wall that extended halfway down the southern slopes. The foundations of this wall date all the way back to ca. 1800 B.C. The eastern ridge was a plateaued ridge, being higher on the northern end than on the inhabited southern end (Ophel). It was to the north Solomon expanded upon the Eastern Ridge. This hill was known as Moriah. Thus Mount Moriah was elevated above Ophel, or the City of David. Tradition associates this Moriah with the mountain Abraham sacrificed his son Isaac on, though God interrupted and provided a ram instead. This, however, is debated by scholars and historians. The Western Ridge was actually divided in two by another valley, elevated above the previous three mentioned valleys. This was the Transversal Valley, and divided the southwestern hill from the northeastern hill on the Western Ridge. The southwestern hill became known as the Upper City. 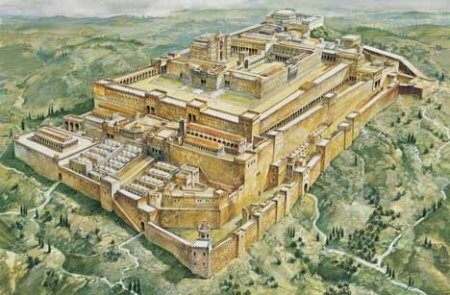 During Herodian Jerusalem, Herod built his palace in the Upper City. It was where the elite and powerful of Jerusalem history lived and worked. The northeastern hill would become suburbs known as Bezetha. Despite its geographic isolation, the history of Jerusalem stretches back to the middle of the 4th millennium B.C. Settlement evidence in the form of pottery dates back to 3500 B.C. The earliest structures date from the Early Bronze Age (3100 - 2800 B.c.) 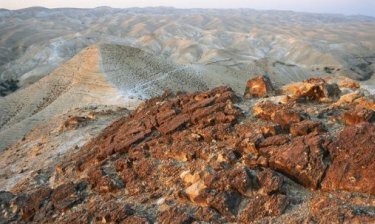 WWW.jewishvirtuallibrary.org lists the first houses as being discovered in 2500 B.C. It is quite interesting that encompassed within a 1,500 mile radius of this isolated mountain fortress was Rome, Chaldea/Ur, Persia, the Arabian Peninsula, and Ethiopia. Athens was equidistant from Jerusalem as Ur was, in opposite directions. Approximately 300 miles southwest of Jerusalem Memphis rested on the Nile River. Approximately 300 miles to the northeast of Jerusalem the great Hammoth rested on the Orontes River. Due west from Jerusalem was Alexandria, Egypt, which would eventually come to house a large and influential Jewish population. A mere 160 miles to the north was Damascus, center of the Arameans of antiquity, great rivals of Jerusalem's. 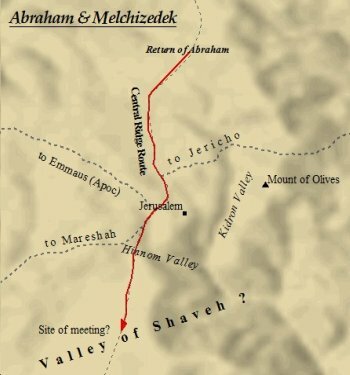 Aram-Damascus would come to be included amongst those that laid siege to the walls of Jerusalem. Their siege was done in conjunction with the northern Kingdom of Israel. As Jerusalem history progressed, so occupation spread out and progressed as well, eventually covering an extremely large area and making Jerusalem by far the largest and most metropolitan city in the entire region. The original site covered 8 acres on the southern end of Ophel. Nadav Na'aman points out that by the eight century B.C., the time of the aforementioned siege, Jerusalem "became a metropolis occupying approximately 600 dunnams and housing thousands of residents" (Ancient Israel & Its Neighbors, P. 340). A dunnam is approximately 1/4 of an acre. According to this approximation, during the 8th century B.C. 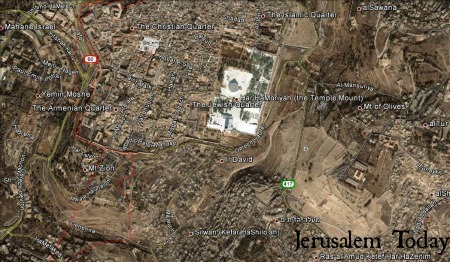 ancient Jerusalem occupied 150 acres. It was the center of a district which included not only the city, but its resident's agricultural fields outside of the city as well. Suburbs had sprang up around the original hill-site. By the first century C.E. Jerusalem had grown significantly more. Theories regarding the population at this time vary widely. By the mid-first century C.E. the suburbs in the north, on the northeastern hill Bezetha, had began to be built up. 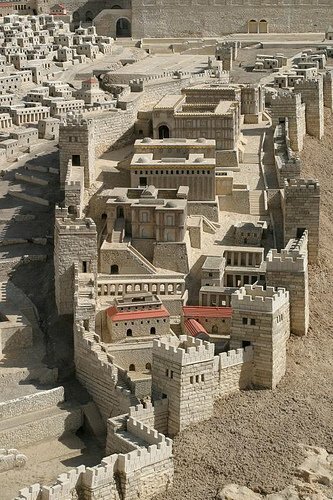 It was during this period of Jerusalem history that Agrippa I, Herod's grandson, built the northern walls of Jerusalem. His efforts would prove futile, as these were the first breached by Titus in 70 A.D. Regardless, Jerusalem history saw much expansion during the reign of Herod the Great and into the first century C.E. Estimates range the population was between 35,000 - 70,000 residents. However, throughout all of Jerusalem history it was the site for the great festivals and feasts of the Jewish nation. The city would explode in size during these times. Whether Josephus was completely accurate or not, the implication is clear that the size of the city grew to staggering numbers during these great occasions. Indeed, Jerusalem history is one of not only conflict and disaster, but also the site of joyous celebrations on a national scale, unlike any civilization in recorded history before or since. The streets of ancient Jerusalem witnessed some of the most remarkable occasions throughout God's dealings with mankind. The first such festival took place in I Kings 8, when King Solomon "brought up the ark of the covenant of the Lord from the city of David, which is Zion". This verse specifically names the hill of Ophel also as Zion, the site of the Jebusite stronghold captured by David and renamed the city of David. It also signaled the start of the First Temple Period of the Jerusalem Temple within the overall context of Jerusalem history. In the approximately 3,000 year relationship between Jerusalem and Israel, only two temples have existed. The first within Israel's place in Jerusalem history was built by Solomon and dedicated in this passage. It rested on the mountain north of Mount Zion/Ophel/the City of David, according to I Kings 8:1. For the ark was brought up from the city of David into the newly constructed Temple. The scene Scripture paints of this ceremony inspires awe and wonder at the magnificence of this ancient city. Read the words of King Solomon in I Kings 8: 13-14. "I have surely built Thee a holy house, a place for Thy dwelling forever." Then the king faced about and blessed all the assembly of Israel, while all the assembly of Israel was standing. What an incredible scene this must have been. Rarely had Jerusalem history witnessed such a celebration as this. Scripture records a few such occasions, such as the Passover celebrated in ancient Jerusalem by King Josiah. II Chronicles 35:18 exalts Josiah's Passover celebration as one of the greatest in all of the history of Jerusalem. "And there had not been celebrated a Passover like it in Israel since the days of Samuel the Prophet; nor had any of the kings of Israel celebrated such a Passover as Josiah did with the priests, the Levites, all Judah and Israel who were present, and the inhabitants of Jerusalem". Scripture records this took place in the 18th year of Josiah's reign, thus ca. 621 B.C. 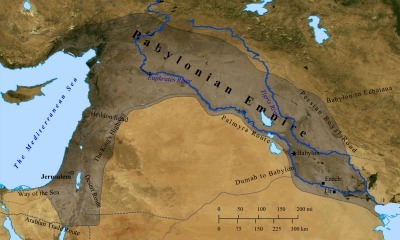 At the same time, the Babylonians were on the rise. The world was not a peaceful and safe place, but menacing and threatening. In less than fifty years after Josiah's great celebration, Jerusalem would lie in ruins, The Temple looted and burned to the ground, citizens executed and exiled, victims of the ruthless King Nebuchadnezzar and the powerful Babylonian army. Tracing Jerusalem history brings us into intimate contact with the great empires of the ancient world. Jerusalem, in a way, found itself the capital city of a great frontier. Canaan lay at the crossroads of the eastern, northern, and western world empires. It was the great buffer zone fought over by the Hittites, Egyptians, Assyrians, Babylonians, and Romans. Jerusalem was oftentimes a troublesome burden for these ancient empires; stubborn and rebellious in nature, fueled by odd and strange religious practices. Nonetheless, Jerusalem was key to controlling the region, thus fought over many times. Remarkably, in the modern era the city has continued to be the center of attention. Jews, Christians and Muslims have been in conflict over the city since before the Crusades. Many modern movies have been fueled by the mysteries of the Knights Templar, made famous by their exploits in Jerusalem and the Holy Land throughout the Crusader period. The British General Allenby marched into Jerusalem in the first half of the 20th century, eventually leading to the re-establishment of the nation of Israel in 1948. Jerusalem history continues to be shaped today, and remains an issue of division amongst world leaders. The futile efforts of the U.N. to discredit the legitimacy of Jerusalem as the capital of Israel will not deter this stubborn people from claiming their city. From the moment David captured Jerusalem, Israel has laid claim to the city. Arafat's false claims of Jebusite ancestry simply proves that this city rests at the heart of a deep and ancient conflict. One that continues to the very present moment. Jerusalem history does indeed include centuries of time prior to the Israelite conquest by David. Many scholars believe the city was founded by Amorites, from which the Jebusites were descended as a mix of Amorite and Hittite blood. Jewish tradition associates Shem and Eber as founders of the city. Many people claim the true identity of Melchizedek is Shem, one of the sons of Noah. Shem was the son through which the Shemitic line was passed down. From Shem the line passed to Eber, from whom Abraham would descend from. If this were the case, then Jewish tradition may be true. The very first mention of Jerusalem in the Bible is as Salem in Genesis 14:18. Abram is returning from rescuing Lot from King Chederlaomer, after the kings from the northeast destroyed and looted Sodom and Gomorrah , and the cities of the plain. As Abram enters the vicinity of Salem, he encounters its mysterious king. Depending on when one places the controversial date of Abraham, this may pre-date any other mention of Jerusalem, thus the descendants of Abraham could justly claim its founding, or at least the earliest recorded occupation of it. This would also explain the mysterious identity of Melchizedek, and make sense of Abram's submission to him. This line of thinking, naturally, is sure to draw out the hounds of criticism. 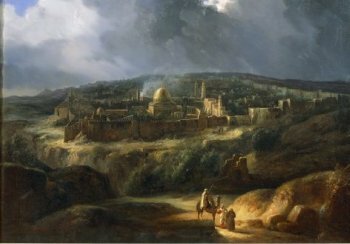 As Jerusalem history stands in its current form, the earliest mention of it is in 2oth century B.C. Egyptian Execration texts. The city is in the hands of Canaanites, perhaps the Jebusites. The identity of Melchizedek is unknown, as Scripture is silent as to his exact identity. Consequently, his lineage is unknown as well. Any theory regarding his identity is interesting speculation. From the encounter of Abram and Melchizedek in Genesis 14, to the rising of Jesus Christ from the grave in the Gospels and into the New Jerusalem of Zechariah, Ezekiel and Revelation, Jerusalem history continues to be shaped today. Jerusalem is a city of mystery and intrigue reaching back into the depths of antiquity. It's current status as a major world focal point only emphasizes the importance of this remarkable city of survival. One can only shake his or her head at the stubbornness and refusal of an ancient mountain fortress to succumb to the armies of history and the onslaught of time. Jerusalem remains today a vibrant city and unarguably one of the most relevant cities of the modern world. It is the only city that can lay claim to being the sacred to three major world religions. Judaism, Christianity, and Islam all claim Jerusalem a holy and sacred city. Indeed, Jerusalem history is shaped and fueled by such religious and spiritual notions. The Temple Mount today remains a region of uneasy peace. The site is currently occupied by the Islamic Dome of the Rock. 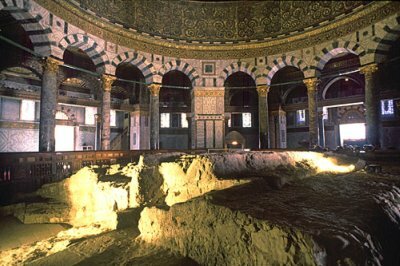 Under this dome is the supposed very rock that father Abraham laid down Ishmael in obedience to Allah, according to the Koran; and where Abraham laid down Isaac in obedience to God Almighty according to Jews and Christians. 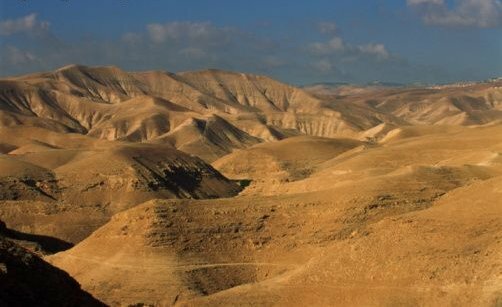 It is where Araunah the Jebusite's threshing floor rested, purchased by David after he spotted an angel of the Lord standing in the spot. It is where Solomon built the First Temple, destroyed by Babylon. The Second Temple was rebuilt during the time of Ezra and Nehemiah, and destroyed again by the Romans in 70 A.D.
Jews gather at the monumental Western Wall, also known as the Wailing Wall, built by Herod the Great. It is all that remains of the Jerusalem Temple which stood during the time of Jesus. Interestingly, in Rome the Arch of Titus depicts the Menorah and Table of Show bread as part of the loot carried by the Romans from the Jerusalem Temple. In fact, Rome owes to the Jews the building of one of history's greatest architectural achievements, the Colosseum. Much of the funds needed for construction of the magnificent arena came from the Temple treasury in Jerusalem. The Roman Empire wasn't the first empire to steal Jewish wealth for its own purposes. This practice would be copied by Nazi Germany centuries later. Yet from the ash-heap of history Jerusalem stands today as a testament to God's deliverance and sovereignty. Words like those spoke by the prophet Jeremiah in Jeremiah 33:16 continue to carry relevance and hope in the present era. "In those days Judah shall be saved, and Jerusalem shall dwell in safety; and this is the name by which she shall be called: the Lord is our righteousness."